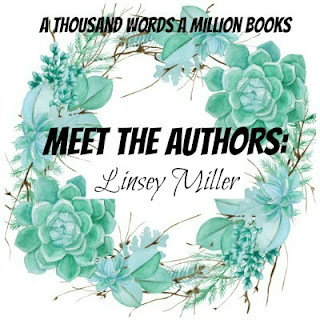 Ir's that time to introduce you to my second Meet The Authors Author, the lovely Linsey Miller whose debut novel, Mask of Shadows, released this August. Mask Of Shadows highlights a gender fluid main character who decided to join the tournament to become an one of the Queen's four assassins! Linsey is the second of seven authors I have this month and I hope you absolutely love her interview! If you want more information on the book, you can read my review of Mask Of Shadows here! Katsa from Graceling, Havelock Vetinari from the Discworld series, Adelina Amouteru from The Young Elites, Kakashi from Naruto, and Hei from Darker Than Black. Some of these aren’t super assassin-y but it’s all right to cheat when dealing with assassins, right? 2. If you were an assassin, what would your weapon of choice be? It would definitely be poison. I’m much too shy for anything involving close combat. 3. What was your last five star read? Rebel Seoul by Axie Oh! I loved it! 4. For those readers who haven't had the chance to read what Mask of Shadows is about yet, could you describe it for them? 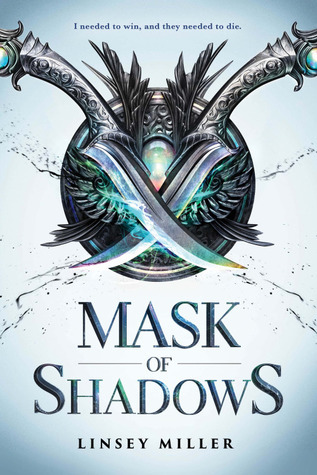 Mask of Shadows is a dark YA fantasy about a genderfluid thief auditioning to become the next royal assassin while putting their ulterior motives into play—vengeance. Sal, the main character, has a good heart, if not good intentions, and gets caught up in some romance, murder, and mayhem. 5. What was your favorite scene to write in Mask of Shadows? There is one scene fairly late in the book between Sal and a certain tutor that involves some poetry, ink, and flirting that I had a lot of difficulty but a lot of fun writing. 6. If you could give one piece of advice each to your main characters, what would it be? Listen to Maud. Always listen to Maud. A wayward biology student from Arkansas, Linsey has previously worked as a crime lab intern, labassistant, and pharmacy technician. Her debut novel MASK OF SHADOWS is the first in a fantasy duology coming in August 2017 from Sourcebooks Fire. She can be found writing about science and magic anywhere there is coffee. Have you had the chance to read Linsey Miller's GORGEOUS debut novel, Mask Of Shadows? What did you think of it? Who was your favourite character/ assassin? Don't forget to say Hi to Linsey, comment on her interview answers and keep checking in for the next Meet The Author post!